F4U1 Vought F4U-1 Corsair the most capable carrier-based fighter-bomber, the most formidable American fighter of World War II. 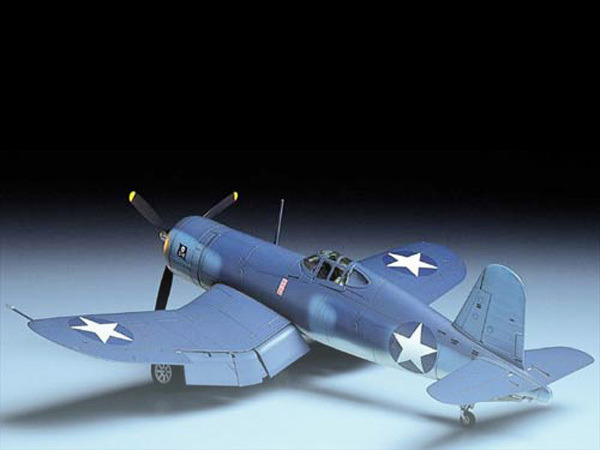 The F4U was the first U.S. Navy aircraft to feature the folding landing gear. airplane, plane, aircraft, fighter, military, old, vintage, retro, historic, flying, flight, airborne, midair, sepia, duotone, b&w, black, white, stained, propeller, ww2, world war, 2, two, second, navy. Daniel, 2014-05-23 19:49:57 Absolutely Amazing. olivier France, 2013-12-24 07:18:32 Wonderful model!